Treyarch has extended Call of Duty: Black Ops 4’s Blackout beta beyond its originally scheduled end time and has increased the maximum player count to 100 players. Scheduled to end on Monday at 10 a.m. PT, Treyarch shared an update that said the team is planning on ending the Blackout beta with a bang by giving players more time to play it. The beta has now been extended to 12 p.m. PT on Sept. 17 to give players two more hours to partake in the Blackout test. Treyarch also said that it’s upped the player count from 86 to 100 to test how the game handles the standard 100-player matches that are found in other battle royale games. The extension won’t help out anyone who’s still stuck at work and can’t get back in time to play Blackout before the beta ends, but perhaps the two additional hours will give some players the chance to squeeze in a few more Blackout games. 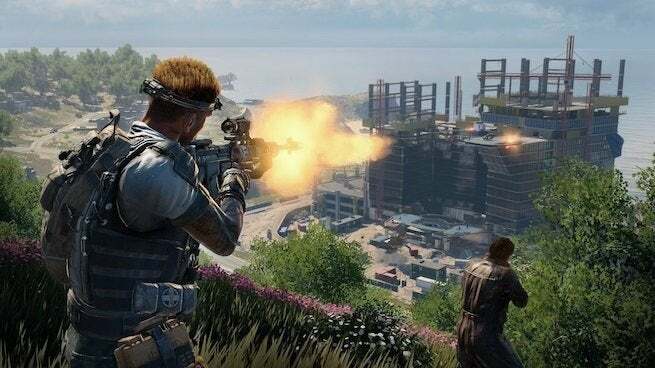 Dealing with 100 players in a lobby will also be a first for Blackout, a mode that originally tested around 80 players before ramping up the player count throughout the beta and finally capping it at the standard for battle royale games. As players finish their final Blackout games, Treyarch is preparing another announcement regarding player feedback and what the developers learned throughout the beta. The Reddit update previewed what’s to come later on Monday with a more detailed post on the way from Treyarch. The Blightfather event has also been removed from all playlists, so there’s no longer any point in landing south of Asylum on the Blackout map unless you just want to fight some Zombies and loot a graveyard. Treyarch added the event as a crossover with Black Ops 4’s Zombies mode with a lanky projectile-throwing Zombie appearing as a type of mini-boss. Call of Duty: Black Ops 4’s Blackout beta is now scheduled to end at 12 p.m PT on Monday.